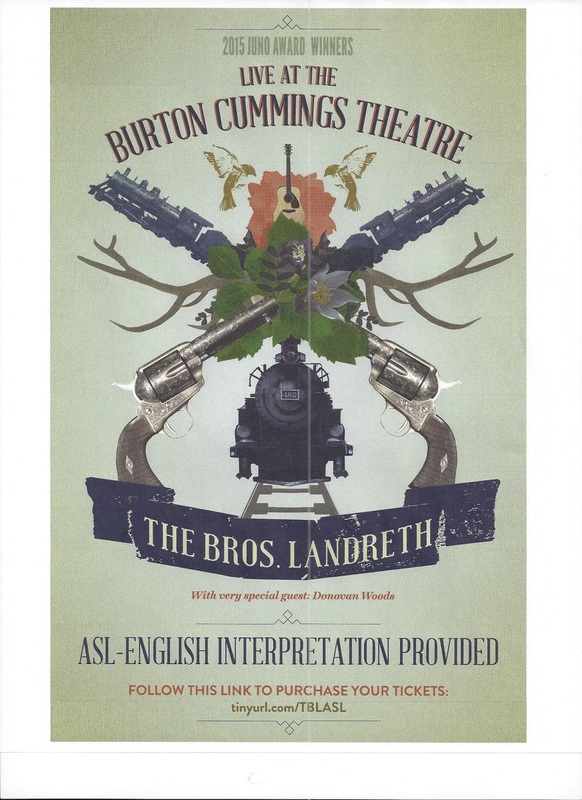 Deaf Centre Manitoba Inc.: Burton Cummings Theatre will have the Bros. Landreth concert with ASL Interpreter provided!! Burton Cummings Theatre will have the Bros. Landreth concert with ASL Interpreter provided! !